Some bicycle accidents are fairly straightforward: the cyclist trips a wheel on an object on the ground, or otherwise loses control of the bike. There are many accidents, though, that involve a motor vehicle colliding with a bicyclist. These incidents are scary, causing emotional trauma and physical harm to the biker. Drivers have the legal duty to take caution when bikers are on or near the road. If you have been injured in a bike accident caused by a negligent driver, you may have cause for legal recourse. Wagner & Wagner Attorneys at Law provides knowledgeable legal counsel to those injured in bike accidents caused by driver negligence. We want to help you recover the compensation necessary to obtain proper medical treatment, reimburse your lost wages and more. Our Chattanooga bicycle accident lawyers fight for you and your family when you feel like no one else will. Cyclists have a lot of options for riding, either on concrete paths like the Chattanooga Riverwalk, or on mountain bike trails at Raccoon Mountain. A day on the trails can be lovely, but there are still many ways you can sustain an injury. According to a report from the American Family Physician, bike accidents lead to roughly 900 deaths per year in the U.S. On top of that, bicycle-related injuries result in about 580,000 emergency department and 23,000 hospital admissions annually. The article also states that the most serious bike injuries and fatalities are caused by colliding with cars and trucks. Bike riding remains popular with children, who are often most vulnerable in these types of crashes. Know that the injured biker cannot share more than half of the blame for the accident. The driver needs to be 51% or more responsible for the collision. 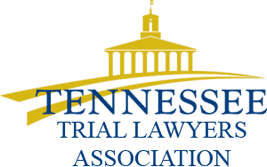 “Modified comparative fault” is the legal standard in Tennessee. Essentially, it means that your final compensatory award may be reduced according to how much you are at fault. If you were 10% to blame for the accident, your compensation is reduced by 10%. 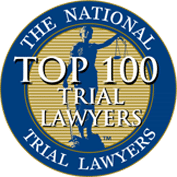 To prove that the driver was negligent, your attorney will present a series of evidence that includes your medical records, expert witness testimony, police reports, eyewitness statements and more. The point is to show that another reasonable person in the same position would have acted differently. The other point is to show that this collision resulted in actual damages to you, including medical expenses, property damage, lost wages, and/or pain and suffering. The thought of pursuing a legal claim may seem overwhelming, but there are resources available to help you. Wagner & Wagner Attorneys at Law represents hard-working people like you in bicycle accident and other accident claims. You do not have to burden yourself by doing this alone. Let our personal injury lawyers help you right away — call 423.799.3532 or fill out our contact form to schedule a free initial appointment with one of our experienced lawyers. 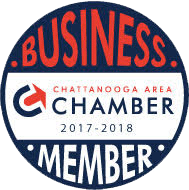 We help clients in Chattanooga, North Georgia, Cleveland, TN and the surrounding regions.